To disable the pointer for the seconds please start the desktop clock, if desktop clock is running click the Tray Symbol of the Aero Clock to see the Desktop Clock! And disable the seconds pointer (... see Image-1 Arrow-1) ! 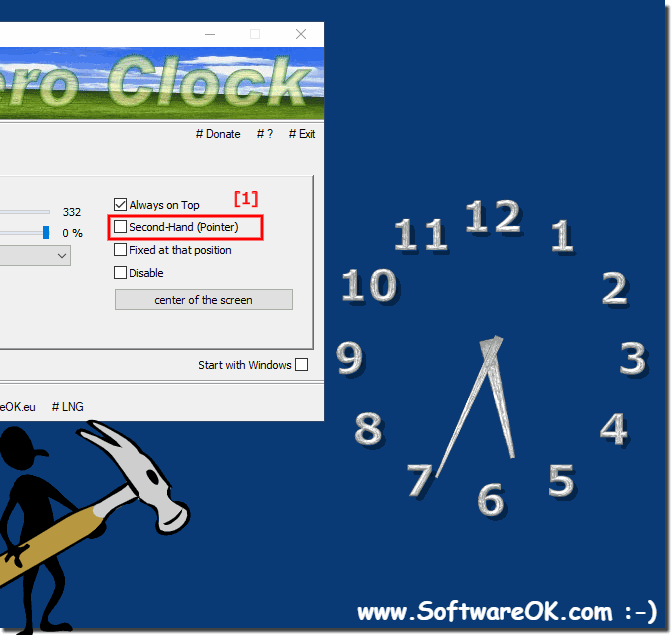 TheAeroClock - FAQ-2: How can I disable the seconds Pointer in the desktop Clock (Windows)? To change the size re-sizethe desktop clock please restart the aero desktop clock, use the slider to re-size the aero desktop clock window.